The Fire and Emergency Services Higher Education (FESHE) Recognition Certificate is an acknowledgement that a collegiate emergency services degree program meets the minimum standards of excellence established by FESHE professional Development committees and the National Fire Academy (NFA). Course work includes classroom and laboratory exercises to introduce the student to various aspects of fire protection. Students will learn technical and administrative skills such as hydraulics, hazardous materials, arson investigation, fire protection safety, fire suppression management, law, and codes. Employed persons should have opportunities for skilled and supervisory-level positions within their current organizations. At FTCC you can earn a degree or certificate in Fire Protection Technology. Contact an Admissions Counselor for assistance or Apply Now! 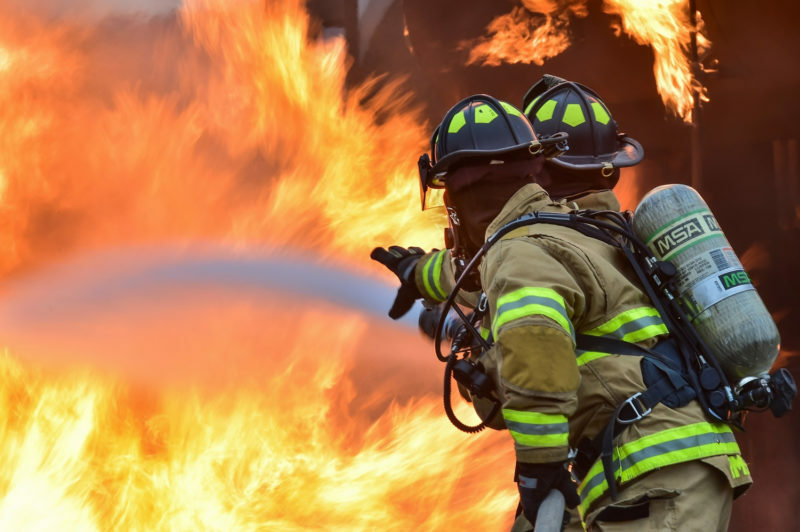 FTCC’s Corporate & Continuing Education Fire Training Program offers a number of certification courses that will allow fire fighters to keep their certifications current and their skills up to date. Some of the classes include but are not limited to Fire Inspector I & II, All Technical Rescuer courses, Driver Operator, Fire Inspection, National Fire Academy classes, and the IFSTA Airport certification course. Classes are conveniently made available in daytime and evening schedules for fire academy certification courses. Contact us today as we are here to help you reach your educational goals! You must be affiliated with a recognized Fire Department, have the appropriate training verification letter from your training office or Chief, and have appropriate Personnel Protective Equipment for admittance into any Fire related course prior to its registration and start date. The FTCC Law Enforcement Training department is committed to offering timely, relevant, and professional training commensurate with established mandates of the Sheriff’s Commission, the North Carolina Training and Standards Commission, and/or the Private Protective Services Board. The majority of the course offerings are restricted to law enforcement or emergency services personnel. Some security offerings are open to the general public, with the state prescribed registration fee required. Courses are conducted by our staff and a carefully selected group of experienced police and security officer trainers. If you have interest in becoming a police officer, check out the Basic Law Enforcement Training (BLET) program.